The Way It Is/ Who's the best? It's sacrilegious to say it in many circles but I'm of the persuasion that today's top NASCAR drivers are the best in the business, ahead of contemporary F1 stars. Most Formula 1 fans are disdainful, if not contemptuous of such suggestions but in the 21st century NASCAR drivers have to contend with a much wider range of challenges and problems than an F1 driver contends with over the course of a modern Grand Prix. The range of challenges in F1 these days is very narrow. The cars are dialed-in, close to perfect at all times. Technical direction and management advice flows from a fleet of engineers deployed in the pits and back at home base thousands of miles away. Not so in NASCAR. The driver is out there on his own contending with a heavy car, torquey engine and comparatively skinny little tires for the horsepower and weight of the car. Data systems aren't allowed on race weekends in NASCAR so the driver has to rely on his own feel and skill to get the best out what is basically an ill-handling, constantly-changing car. The tires wear and go off, substantially changing the balance. There's also the little problem of having your fuel load hung out the back over the rear tires rather than in the middle of the car as in F1 and most other formulae. 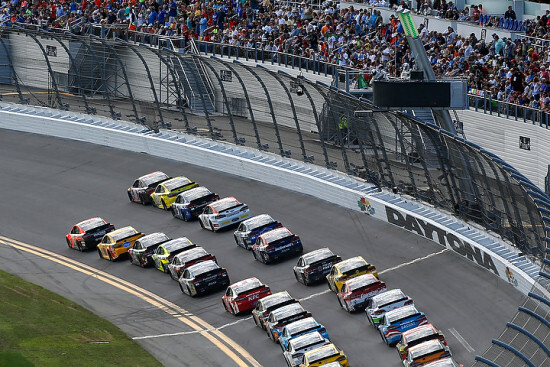 A NASCAR car's weight balance changes substantially as each fuel load is burned off, further exacerbating an ever-changing situation for the driver. "I love Formula 1 and all the technology," seven-time NASCAR Jimmie Johnson grins. "I love the concept of building the fastest vehicle, but that's not what NASCAR is. Our sanctioning body wants to put on an entertaining event. So they want to keep technology out. They intentionally want the cars to drive poorly in order to put on a better show. Everything in NASCAR is aimed at putting on a good show for the fans. "By design NASCAR tries to limit what we do," Johnson says. "But we use every tool that Formula 1 teams have to make our cars perform better within the limitations that we're allowed. Although we can't run data on the cars on race weekends, we collect data at every point in time we can otherwise. We have simulation programs, seven-poster rigs, wind tunnels, rolling road wind tunnels and CFD models. We use everything Formula 1 does but you can't connect the two worlds. "In NASCAR, the driver ends up being the computer. It's my job when we come to the track to go racing to validate all of the virtual testing that we do during the week. One thing I am very proud of is the human element in our sport. You really have two different worlds, the virtual world of modern technology and the limited use of all that stuff at the races. I'm the one that has to flow between those two spaces and help (crew chief) Chad (Knaus) and the team point it all in the right direction. "The biggest reason for the change in performance of the car during a given fuel run is that our fuel cell is mounted at the back of the car so the weight changes dramatically over the course of a run," Johnson adds. "In order to keep the car turning sharp enough at the end of a run with no fuel in the car, you've got to start uncomfortably loose or with a lot of oversteer in the car and you've got to manage that so the car is good at the end of the run once you've burned off 18 gallons of fuel weighing more than 300 pounds. So there are a lot of compromises from the driver's seat in trying to manage a NASCAR race car." Four-time champion Jeff Gordon added his observations about the challenges of racing in NASCAR. 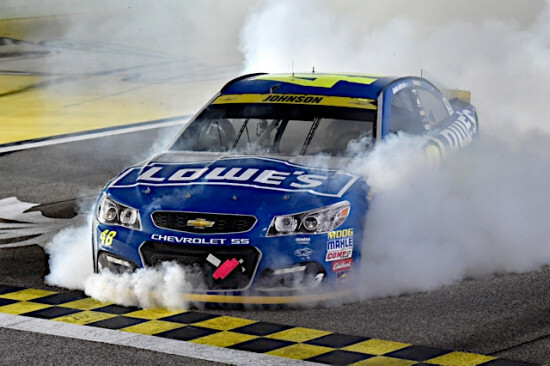 "Because of the rules that NASCAR puts on us it makes it very challenging," Gordon said. "If we had wide-open rules it would be fun and fairly easy to fix some of our problems but that's not the way NASCAR wants it. NASCAR creates the rules based on a stock body and chassis and with what we have to work with within those rules it's a pretty impressive race car. When you look at the torque of the engine and the power that it makes, it's a very impressive race car. "I think a lot of people who are unfamiliar with ovals have a hard time grasping it because it seems so simple. But it creates a lot of challenges when you consider the speeds that we're carrying at all the different types of ovals that we race at and the lack of grip and downforce that we have. Battling with those challenges at the speeds we're carrying with the lack of grip we have takes plenty of work." 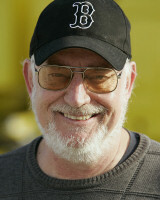 Gordon emphasized that the biggest physical demand in driving a stock car is coping with the heat inside the cockpit. "Most of what we deal with is just the heat," he said. "We have a lot of cooling fans in the cockpit to help with the fatigue part but we're very restricted in what we can do. So it gets very hot inside the car. That's the physically demanding part. "But I think most of racing in NASCAR is mentally demanding because, number one, the competition is extremely fierce and track position these days is so important. But so is every aspect of it--pit stops, pit strategy, driving the car fast and having a fast car, and then again the competition. The field is so deep. But I think in most forms of motor sports the mental aspect is the most taxing." There's no question that NASCAR has proved to be a steep learning curve for any F1 and IndyCar drivers who have tackled NASCAR in recent years. Juan Pablo Montoya was by far the most successful of these, winning two races in seven years, both of them road races at Sonoma in 2007 and Watkins Glen in 2010. But a long list of other open-wheel drivers have tried and failed in NASCAR including Jacques Villeneuve, Dario Franchitti, Paul Tracy, Sam Hornish and others. Franchitti raced in NASCAR in 2008 and quickly discovered there was plenty to digest about driving a NASCAR stock car. By the end of the year he was back in Indy cars. I would love to see Lewis Hamilton, Sebastien Vettel or Daniel Ricciardo give NASCAR a try. They might be shocked to discover they have a lot to learn about motor racing outside F1.